What does it mean to live your whole life imagining court life and fantasizing about princes and castles only to be offered everything you’ve always wanted? What does it mean to grow up in a household where your stepmother and stepsisters come from noble bloodlines but you come from more humble origins? Is beauty or noble blood more important? 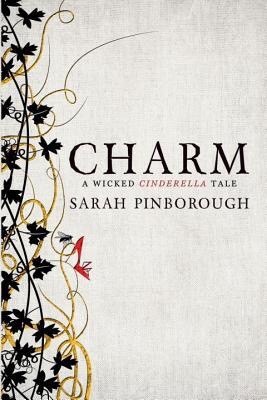 Sarah Pinborough’s Charm transforms the quintessential Love at First Sight story into a gothic romance, populated with hidden truths, secrecy, locked doors with hidden keys, curiosity, jealousy, dusty old turrets, and dark corridors hung with cobwebs. Pinborough explores the darker side of Cinderella, warning her readers of the danger of getting everything you wish for and pointing out that sometimes the dream is better than the reality you dream of. Pinborough highlights the potential problems of Cinderella’s magic slippers, pointing out the issues of consent for a Prince who has been forced by magic to fall in love with a woman that he couldn’t even recognize outside of her slippers. She asks what happens when the slippers come off and the prince goes back to his non-spell-addled self. Court life isn’t the dream that Cinderella imagined and full of a lot more darkness than she had envisioned. Just like her slippers, Cinderella is about to discover that her imagined perfect life is nothing more than outer dressings.